Case has a moonbeam for a voice: imposing in timbre, opalescent in tone, and always surprising in its sheer force. Neko Case doesn’t make things easy on herself. Her voice is so powerful, nuanced and pure that if she turned her mind to it, she could probably become a megastar. Her chief attribute is her astonishing, siren-like voice, which she applies to songs that are simultaneously rugged and heartbreaking. That voice: tall and mighty as Washington State's Grand Coulee Dam, a rushing brook laying down the silt of years, hydroelectrifying every note with a torrid stream and blinked-back tears. Neko Case is on her way to well-deserved status as a music legend for our generation. 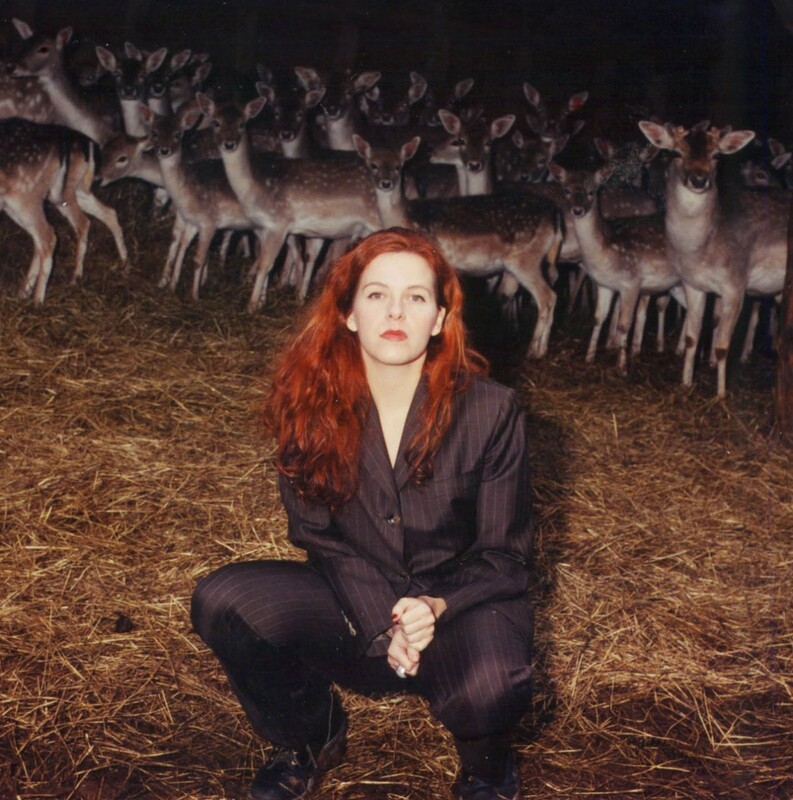 Neko Case has The Voice, rough around the edges but possessing a formidable strength and range, that causes critics and fans to swoon. To go with that Voice, is an artistry with a trajectory that is fascinating to watch unfold and grow. Where it will take her, and us, is the thrilling part. Neko was born in Alexandria, VA and grew up all over North America, spending enough time in Tacoma, WA to consider it her hometown. Fellow homeboys and bestbandever Girl Trouble even wrote a song about her, which is a decidedly cool thing. When she was 18 and already on her own, she began playing drums in several punk rock bands including Cub and Vancouver trio Maow. It was during her days as a drummer that she made her first forays into songwriting, and then to singing. Once she started, she couldn't stop. She is not simply a solo artist; she dives into any opportunity to work with other musicians. Recordings made at BS included split 7" singles with Whiskeytown, Kelly Hogan and the Sadies. Among her other projects is the beautiful old-time country she sings with Carolyn Mark as the Corn Sisters. She also records and performs as one of The New Pornographers and has lent her considerable talents to projects with Calexico, Howe Gelb (Giant Sand), Andrew Bird, Nick Cave, John Doe, the Pine Valley Cosmonauts and many others. Helping her out on the road and in the studio these days are pedal steel whiz Jon Rauhouse, singer Kelly Hogan and bassist Tom Ray of Devil in a Woodpile. Cordero can set the scene for a golden, reverby, south of the border sunset or an ill-conceived encounter with a stranger in the back booth of a dimly lit bar. This potent mix will have you snake-charmed with it's sassy sensibilities and romantic flair. North Carolina’s Shook sings with a conviction and hard honesty sorely lacking in much of today’s Americana landscape. Always passionate, and at times profane, Sarah walks the line between vulnerable and menacing. Steeped in Nashville form and tradition, Maggie brings her outsider perspective to the pedal steel and its possibilities. She stretches it far beyond the constraints of "country," bringing in elements of ethereal pop, psychedelia, European folk, and spaghetti western. Lydia Loveless Sings on Record Store Day Single with Neko Case, Norah Jones, Aimee Mann, etc.